In my opinion, donuts are one of the best food groups on this earth. They have been my favorite dessert even before they started “trending” so I had to find a healthy alternative!! This recipe makes donuts that are healthy (low in calories, not fried, & made with all natural ingredients for the most part) and don’t weigh you down. Mission accomplished!! Directions: Combine first four ingredients in a small bowl, and whisk well. Preheat oven to 350 F and grease a doughnut pan if you have one. (If you don’t have a doughnut pan, you can cook in a mini muffin tin for doughnut holes.) In a large measuring bowl, combine all remaining ingredients and stir very well. Now pour wet into dry and immediately pour into the pan. Bake 15 minutes, then allow to cool before removing. 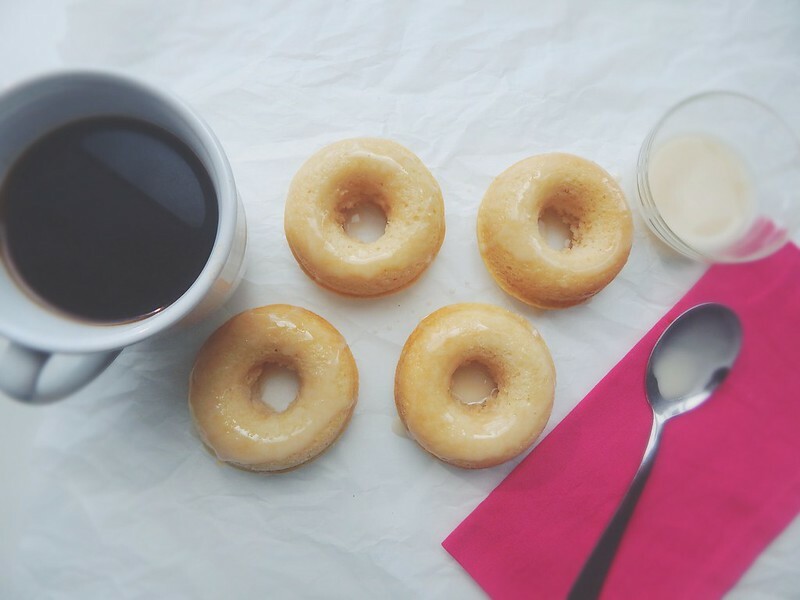 While donuts in the oven, make glaze by placing the sugar in a medium bowl and slowly stirring in the water and vanilla, a little at a time, to make smooth and pourable. Enjoy!